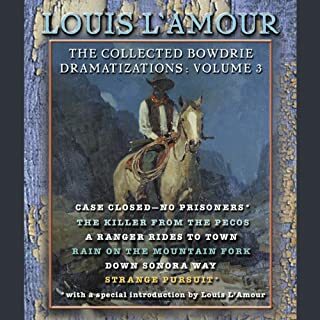 This book is a true Louis L’Amour classic! 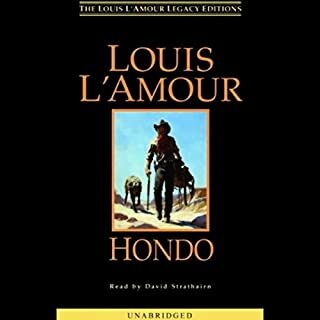 Hondo is a superior work of western fiction. The author is a master of description in his often poetic words which display his remarkable understanding of the old west and the characters that make his stories live for the reader. If the reader appreciates people studies set in authentic rustic scenes of the old west, this book is for you. Chick Bowdrie could have been an outlaw, but he rode a different trail. The Texas Rangers recruited Bowdrie to help pursue the most wanted men in the Southwest. And Bowdrie knew the terrain all too well: the dusty trails, bitter cattle feuds, the desperate killers, and the weather-beaten towns that could explode into chaos at the wrong word. The Rangers were called in to handle the tough cases, and Bowdrie was the toughest and smartest. Just like Volumes 1 & 2, Volume 3 is just as fascinating, suspenseful, and authentically done! 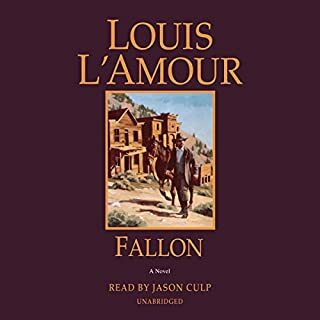 These western short stories are written by the master, Louis L’Amour, and are presented in the tradition of the old time radio broadcasts of yesteryear. Chick Bowdrie could have ridden the outlaw trail, but the Texas Rangers recruited him, because they didn't want to have to fight against him. Pursuing the most wanted men in the Southwest, he knew all too well the dusty trails, the bitter cattle feuds, the desperate killers, and the quiet, weather-beaten, wind-blasted towns that could explode into action with the wrong word. 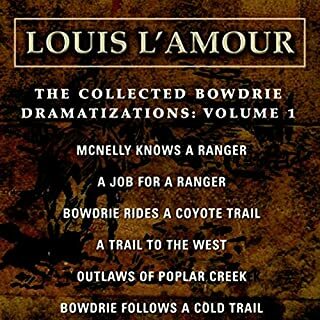 Follow Bowdrie's adventures in six classic westerns by America's favorite storyteller, Louis L'Amour. 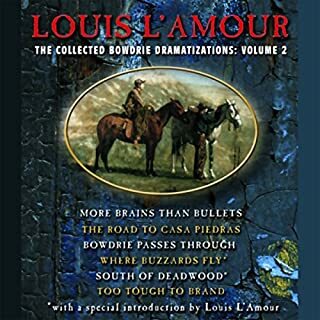 As with Volume 1 in this series, I very much enjoyed the imaginative and authentic work of Louis L’Amour as an expert writer of western thrillers. Excellent dramatizations of the written story with superior sound effects and character voices. Louis L’Amour is simply the best western fiction writer ever! This series of short stories took me back to the days of the old radio dramas my family used to gather around the old console radio in the living room to listen to together. Good wholesome entertainment!